This episode of In Focus discusses on the aspects of economic transformation in Africa with Professor Thandika Mkandawire, former Director of the United Nations Research Institute for Social Development and the first person to take on the new position of Chair in African Development at the London School of Economics (LSE). 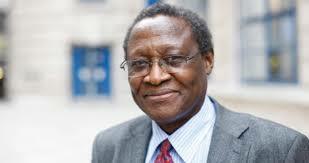 Formerly, Prof. Mkandawire was Director of the Council for the Development of Social Science Research in Africa (CODESRIA), a Senior Research Fellow at the Centre for Development Research in Copenhagen and has taught at the Universities of Stockholm and Zimbabwe. Professor Thandika Mkandawire is former Director of the United Nations Research Institute for Social Development and the first person to take on the new position of Chair in African Development at the London School of Economics (LSE).. Prof. Mkandawire was formerly Director of the Council for the Development of Social Science Research in Africa (CODESRIA), a Senior Research Fellow at the Centre for Development Research in Copenhagen and has taught at the Universities of Stockholm and Zimbabwe. He currently holds the Olof Palme Professor for Peace with the Institute for Future Studies in Stockholm.